Summer Promotion for everyone! For wholesalers + 1SEED in each package of the same strain so that your customers know that quality and price are not at odds. 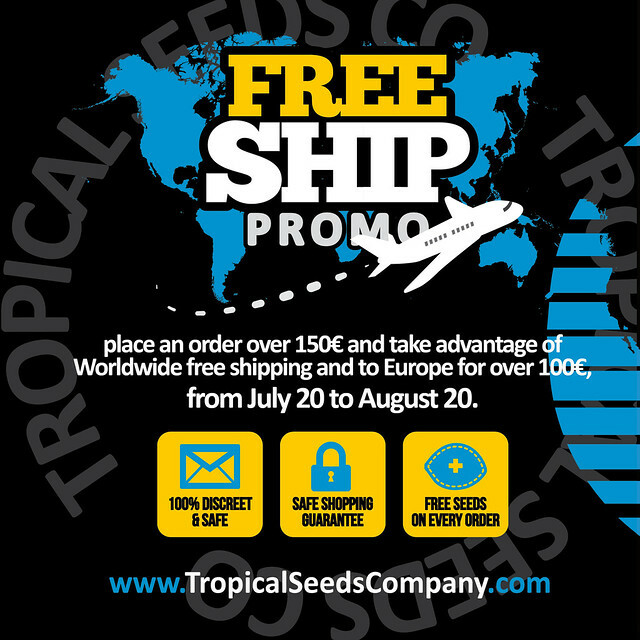 For the rest of the tropical family; placing an order over 150€ we give you free worldwide shipping, and just for an order over 100€ for Europe (only for seeds). 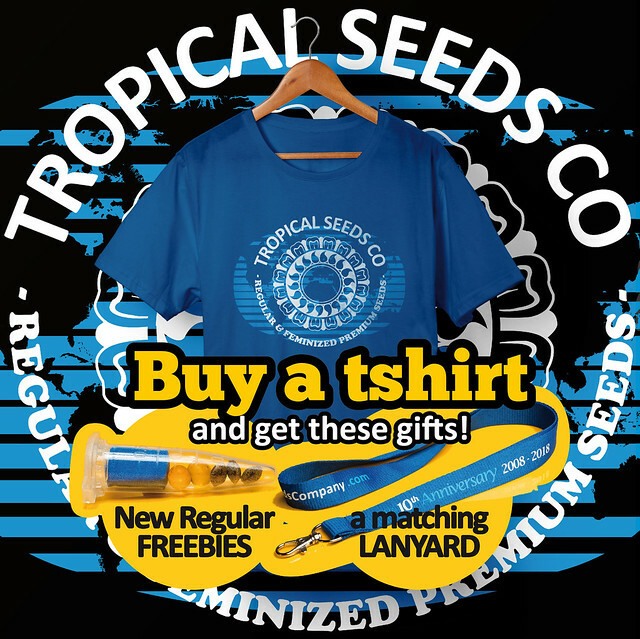 Finally, to mark your tropical style, buying one of our tshirts, we give you a matching lanyard and a pack of our new regular Freebies. Only until August 20, so don’t wait more! 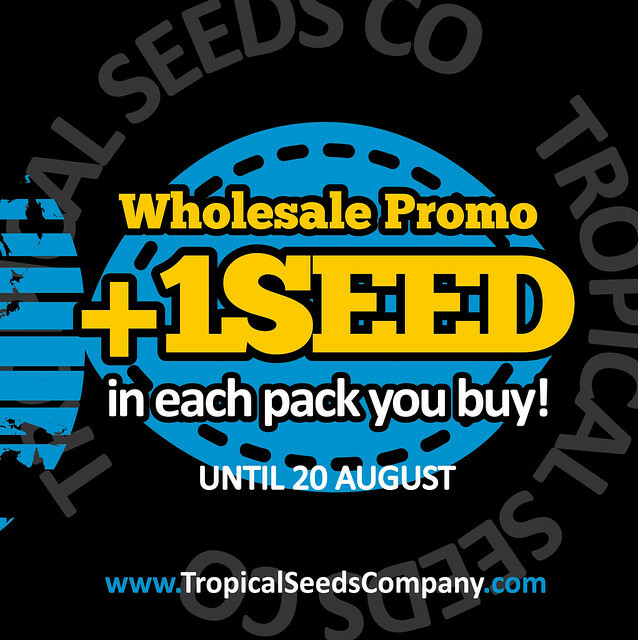 You already know that we are always trying to offer you the best solutions so that anyone in the world can get their TSCo seeds as easy and safe as possible. We have the classic methods of payment such as Cash in Envelope, Bank wire or Western Union. But as we know these are not the best methods of payment, more secure, reliable and economical than there are today. 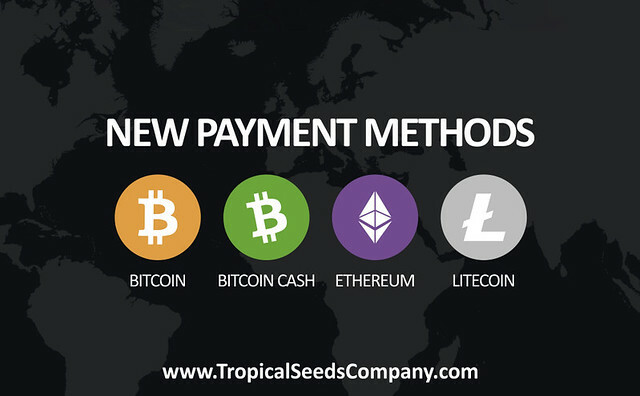 And as it already characterizes us, also from now on we will offer payments through crypto currencies (Bitcoin, Bitcoin Cash, Ethereum and Litecoin) take advantage of it and remember that we also have 100% discreet and secure payments through PP and Credit Card, you can ask us for them. Thank you very much for all the support and trust you give us. While in the southern hemisphere the growers are smoking and harvesting their sativa plants, in the northern hemisphere the best time to sprouting ours begins. But this may well also serve for them by applying to the months of December and January. 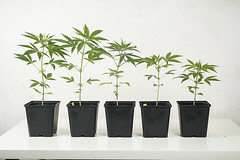 Between June and July is the time of year where we can best optimize the most sativa strains. The first thing to know is that sprouting sooner or later does not affect the time of harvest, as a strain that ends its flowering in October will do so in that month regardless of whether we sprout later or earlier. Therefore, delaying the sprouting moment only influences the size of the plants, which will have a shorter growth process. 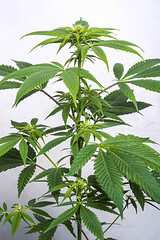 The flowering process will be the one that corresponds and it will arrive when it has to arrive, once the plant is sexually mature it will begin its flowering. Sprouting during these months more discrete plants are obtained, which is a considerable advantage to avoid problems with them. 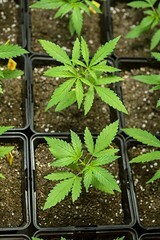 Experienced growers prefer that they be smaller to avoid theft or setbacks with the Police. 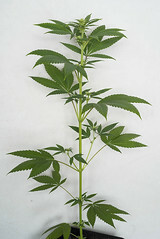 Another very important reason to plant in this season is the stability of time, the most appropriate temperature and the many hours of sunshine, which make the sativa strains have a much healthier and more vigorous growth than in other times, being a more favorable climate and similar to the one in the tropics, where they come from. 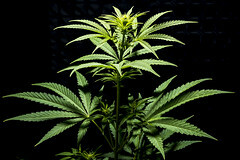 We must have several aspects to take into account when offering our sativas the best possible conditions. 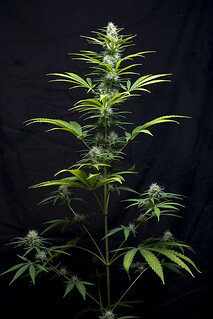 We recommend the use of pots of between 20-40L (5-10 gallons), depending on the strain can reach a minimum of 1m in height at the time of beginning flowering. What can make you avoid problems due to long growths, such as the appearance of pests, accumulation of salts by nutrition, or uncontrolled plants in size, in addition to requiring less work care. The substrate in turn must be of the best quality, due to the short time it will take the plant to develop, it must be spongy and with the necessary nutrients to complete a satisfactory growth without being fertilized, as much provide root stimulator and some preventive for pests. 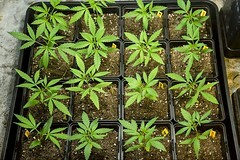 Add also with respect to fertilizers, that sativas prefer organic solid fertilizers, such as manures and other composted ones. A soil rich in life will provide nutrients to the plant as needed without overfertilizing and this will give us the best aromas and flavors in our sativas. 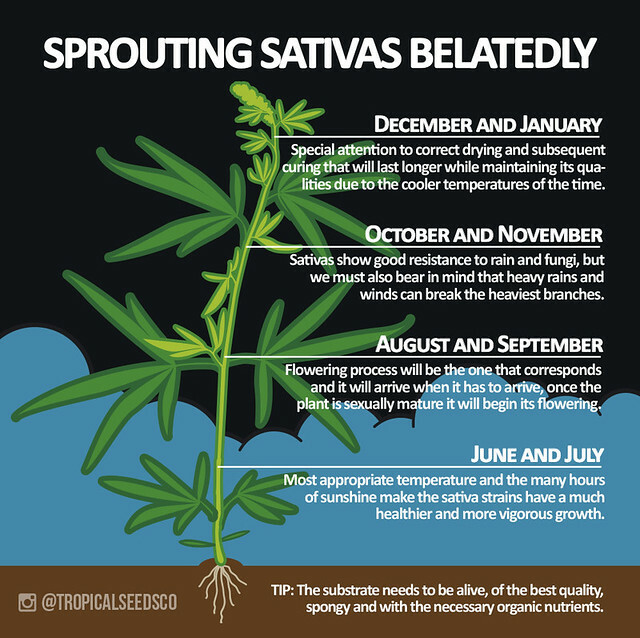 Something also to take into account with these sativas and since their flowering can extend perfectly until October, November and December, will be the rains and cold that will come. 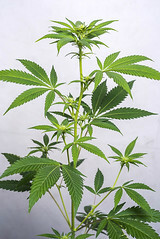 Generally, these sativas show good resistance to rain and fungi, but we must also bear in mind that heavy rains and winds can break the heaviest branches in flowering, so it will be highly advisable to give structural support to the plants in case of be necessary. Without a doubt, temperatures below 15°C will stop the flowering of the plant, we recommend putting strains that can finish just before that time arrives in your area, this will also make the plants have a beautiful color in their flowers and a copious resin production. At the time of harvest, there is a special attention to correct drying and subsequent curing. 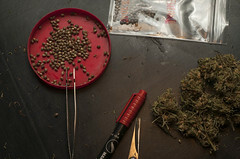 This final part of the process could completely spoil all the work done or on the contrary, turn your flowers into a product of the highest quality that will last longer while maintaining its qualities due to the cooler temperatures of the time that comes before and in which we hope you are already enjoying your sativa flowers. 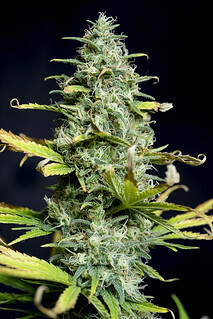 We recommend you fast sativas such as Nepal Highland or Ciskei Highland. Others with more energizing effects such as King Congo or Zambian. Or those that will blow your head like Old Congo or Double Zamal, among many others. 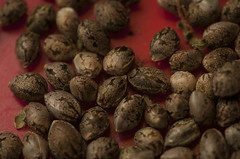 No matter what type of high you’re looking to have, the quality of your seeds can make it all the better. 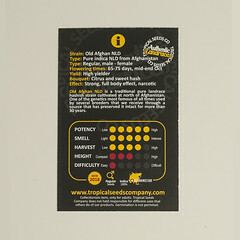 Browse through our seeds and always feel free to contact us with any questions. 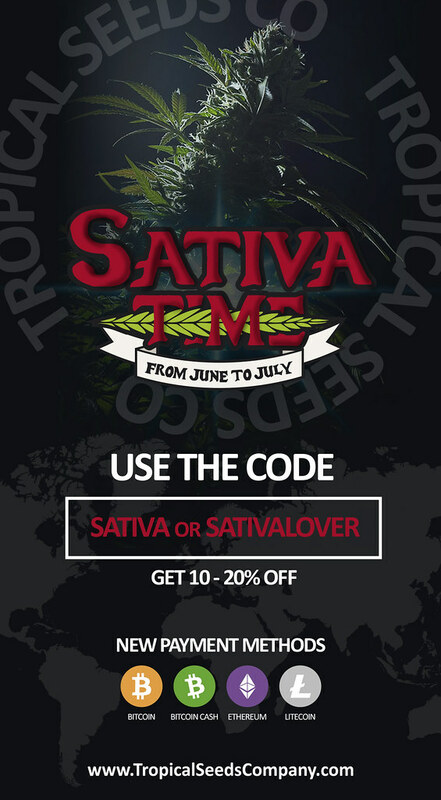 We would like to help you get your most desired sativas, we want to give you a discount code to use during this June and July. Use the code “SATIVA” to get 10% off in all sativa strains in orders above 30€ or use the code “SATIVALOVER” to get a 20% discount on all sativas strains in orders above 100€. Worldwide shipping + freebies in all orders. Also from now we will offer payments through crypto currencies (Bitcoin, Bitcoin Cash, Ethereum and Litecoin) take advantage of it and remember that we also have 100% discreet and safe payments through PP and Credit Card, you can ask for them. Hi there fam ! We return and we bet all in with the Old Afghan NLD. Three years ago we received about 100 seeds of this line from a reliable UK source who claimed that this line was the same that came to Holland in the 1970s. 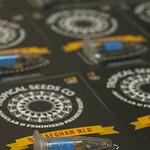 We had been looking for an open line of pure afghans for a long time, where we could study its wide genetic range. I will not deceive you, even today seems hard to believe, receive the most worked pure line of history, but without being worked, a trully open line from Afghanistan. Most of the seeds were spent in being able to contrast this information and to begin to understand what we had in our hands. Aeritos and Charles realized the first tests of grow, the line didn’t seem anything special; long plants, thin leafs and long internode branches, little buds little bit tight but with enough resin. Wilder aromas with a medium energizing effect ended with comedown. 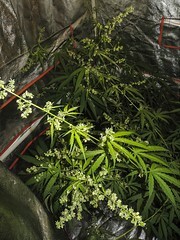 Flowering times around 80 days, even some phenotype that was not able to bloom at indoors. However, during the last test that Charles did and that you can see or have seen at the Tropical Forum. Some very interesting phenotypes appeared; A shorter flowering phenotype that Charles has maintained in cut / mother form and a long phenotype that Charles can’t keep. They inspired us to finish the study. As it was unexpected, Charles didn’t know to react in time. 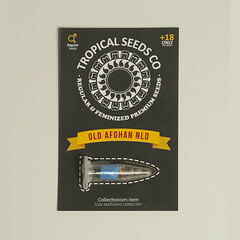 For that reason, 12 days ago Charles began to germinate the last seeds that we have of old afghan. In total 17 seeds and sprout all: 17/17 very quickly and they have shown their vigor from their early days. The purpose is to find the best phenotypes and the best males to perform an open reproduction with the selected females too. When we received the line was marked as the original Afghanistan of Sacred Seeds and for the studies that we have been carrying during 3 years, we can find a wide genetic range, you can find phenotypes very similar to those of the Kandahar area and other phenotypes more similar to Mazar-i-Shariff, so our conclusion is that you can find a gene mix from the northern zone of Afghanistan in this line, at the same time some phenotypes with long flowering or less adapted to the indoors could indicate that it would have been hybridized with some sativa, knowing a little the story could be some of the old hybrids of colombian gold x afghanistan or old sativas from afghanistan, but we can not guarantee it 100% because these phenotypes are not commonly shown. Old Afghan NLD short pheno, 70-75 flowering days. Intense citric and sweet bouquet of aromas. Powerful narcotic effect. 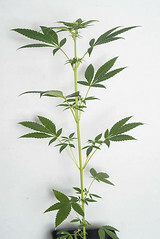 With a sativa structure and a narrow leaf, it forms long colas that need to be held during flowering. Within the gene pool can be found mostly two phenotypes that bloom between 70-90 days, some with spruce tree structure and others more columnar. The bouquet is very sweet in the shorter ones with more narcotic effect being more citrus and old hashish in the longer ones with a richer effect providing a more active and witty start, ending relaxed and narcotic. Old Afghan NLD long pheno, 80-90 flowering days. Incredible metallic, incense and church bouquet of aromas. Powerful high effect that elevates you and ends up leaving you on the sofa. Finally the reproduction of Old Afghan has gone well, well, a small batch will be destined to be given as a freebie and another small one will be destined for sale through the club. Right now you can enjoy the ones that go as a gift in each order, also together with some Ciskei x Old Afghan, and soon the better batch will be available for sale. Get now these new freebies in all orders until stock lasts!